Charles Dickens' A Christmas Carol is a festive favourite played out in theatres across the world at this time of year. From lavish musicals to school productions, hundreds, if not thousands of people will be taking on its classic roles. Actor Clive Francis has found his own way of portraying the story. Nearly 20 years ago he created a monologue in which he recreates the entire story taking on the different characters – and he has been touring the production ever since. When he steps on the stage of Birmingham Town Hall, Francis is also stepping into the historic shoes of the great Dickens because the writer was also famed for reading his books – and his very first public performance of A Christmas Carol was at the same venue in 1853. Standing below a portrait of Dickens, Francis explains a little about the show, and about that first performance by Dickens. Apparently, the author read the entire book, taking more than three hours, but Francis assures the audience he has condensed the tale into 70 minutes. And it works phenomenally well. The length is long enough to ensure Dickens' rich prose is given ample space while concentrated enough that there is no padding. We follow Scrooge's journey through one Christmas Eve as ghosts and spirits follow in close succession. Switching between lectern and armchair, Francis makes small use of props and yet manages to evoke the characters and the spirit of A Christmas Carol with incredible authenticity. We may not see Scrooge cowering behind the bed curtains on stage but in our mind's eye we do and while we never see Bob Cratchit, Tiny Tim or any of the Spirits we have a real sense of them as characters. 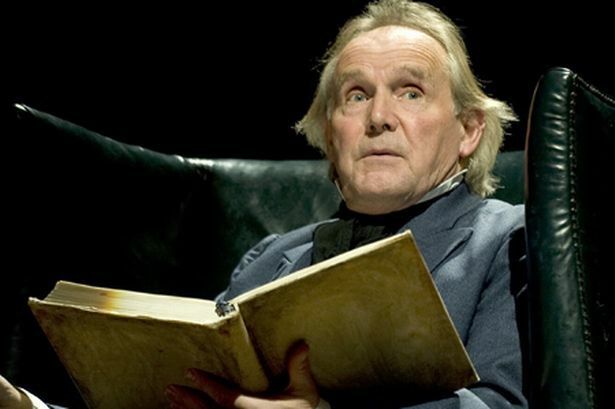 Francis perfected the role of Scrooge while playing the part for the Royal Shakespeare Company in the 1990s and clearly has a great love for the archetypal miser. There's a real sense of joy as he progresses through the tale taking Scrooge from the meanest of souls to the most generous. He's supported by music and sound created by composer Phillip Sheppard but beyond that, it's a pretty minimal production. And yet it's also heart-warming, amusing and full of Dickens' marvellous characterisations. Francis has been playing Scrooge for more than two decades – let's hope he plans to take him on for a while longer yet.